The original plan called for 900,000 sqft data center space and a 70,000 office space. Facebook has since announced an expansion that will bring the complex to 2.6 million square feet. The first data center comes online in 2020. The Omaha/Council Bluffs metro area enjoys very low disaster risks, high-speed fiber connectivity, renewable energy initiatives and attractive economic incentives. Google has two large data centers that are across the Iowa border in Council Bluffs. Facebook and Fidelity have data centers in Papillion which is on the South side of Omaha. 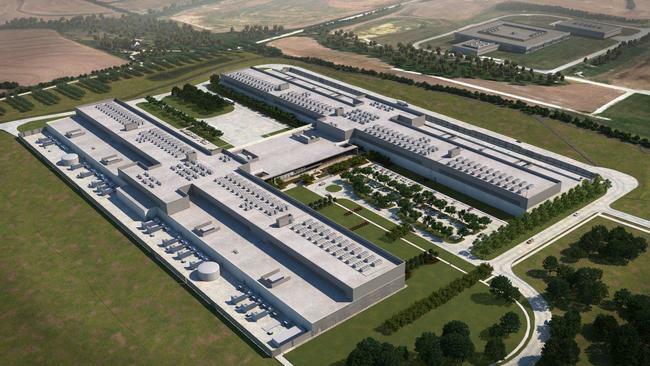 Facebook is in the process of building a massive data center in Sarpy County south of Papillion.